China’s New Silk Road (OBOR) is kicking-in and beginning to appear everywhere in Asia, including the Greater Middle East Turkey, Iran and Pakistan). As for the Arabian countries of the Gulf, they are still shuffling their feet trying to decide whether to participate or not, and if yes, according to what terms and conditions. The window of opportunity is rapidly closing, and by the time they eventually make up their minds, they may discover that they have been left out, or will not get as good a deal as they wish for. The Sultanate of Oman, however, has not wasted any time. It has signed-on to the project and now, the Omani southern city/governorate of Duqm, on the Arabian Sea, will become an OBOR hub. Duqm is already a budding Omani free zone port and a number of projects had been initiated in it a few years back. A port has been built, a dry dock, oil refinery etc., partially with foreign investments, including Kuwaiti funding. Now, Oman has signed an agreement with China to develop a full-fledged OBOR hub. China plans to invest up to US$ 10. 7 Billion over ten years and will be granted over 11 square kilometers for projects such as: Building Materials stores and Gulf distribution system (US$ 138 Million), Methanol Plan (US$ 2.8 Billion), Car assembly Plant (US$ 84 Million), Hotel (US$ 203 Million), etc. All these will be completed within five years, and more will follow. What is interesting here is that this project will be carried out by the Chinese private sector, with the blessing and approval of the Chinese government (which will ease Chinese state banks’ funding). NEGATIVE FOR: For those who missed the OBOR opportunity, and those that have or planning free trade zones in the Gulf. 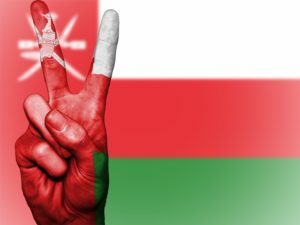 POSITIVE FOR: Oman will benefit from the Jobs it will create for Omanis, as well as the export earnings that such a project will generate for its economy (It is one sure way of diversifying away from oil). It is also positive for China and the rest of the OBOR link countries, whose commercial presence will be greatly enhanced in the Gulf, East Africa and the Red Sea. Next Next post: The Crypto “Key Chain” – Eureka, Easy Wealth!